The town of Soller lies in the north west of the Spanish island of Majorca. 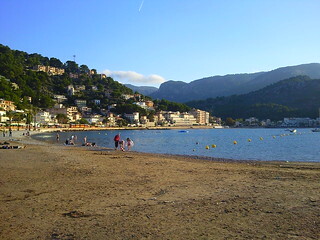 The town lies a few miles from the coast but you can take the tram to the beach at Puerto de Soller. It’s probably better to take the tram to avoid paying to park. We drove there and although it was October it was virtually impossible to find a free parking space. There are several restaurants in Soller but they are on the pricey side compared to other towns in Majorca. 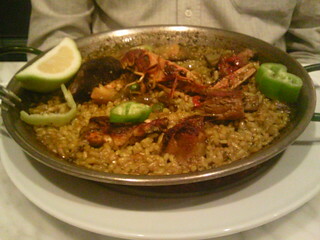 A small paella and a glass of wine cost 10 Euro in Cafe Central in main square. Whereas in Puerto de Pollensa we paid 8 Euro for a 3 course meal with a drink. You can see works from the likes of Picasso, Miro and Matisse free of charge at the railway station. 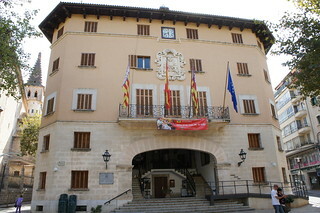 The Ca’n Prunera Museum of Moderism has a collection of modern art displayed in beautiful town house. You have to pay to enter the museum. The Botanic Garden focuses on wild flowers of the Balearic islands (Majorca, Menorca and Ibiza), as well as wild flowers from other Mediterranean islands and the Canaries. 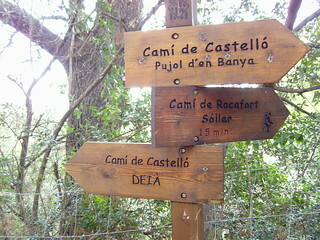 The Soller area is very popular with walkers and there are well signed footpaths criss-crossing the area. If you want to do a circular walk from Soller, you can head to Biniaraix along a fairly quiet road and then to Fornalutz for lunch, returning to Soller along a footpath. I’d advise you to take walking poles and good boots if you plan to venture onto the footpaths, as many of them are rough cobbles, crumbly in places and slippery when wet. 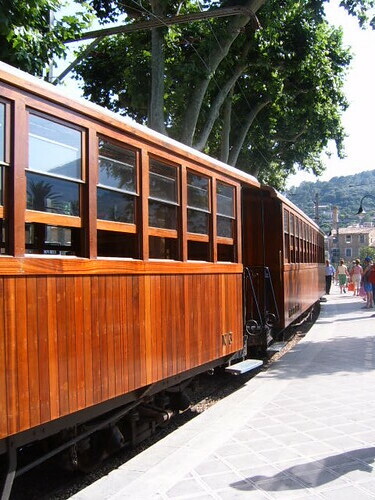 You can take a day trip to Palma, Majorca’s capital, from Soller on the wooden train, which as been running from 1912. The line passes through thirteen tunnels on the seventeen mile scenic journey, which takes around one hour.